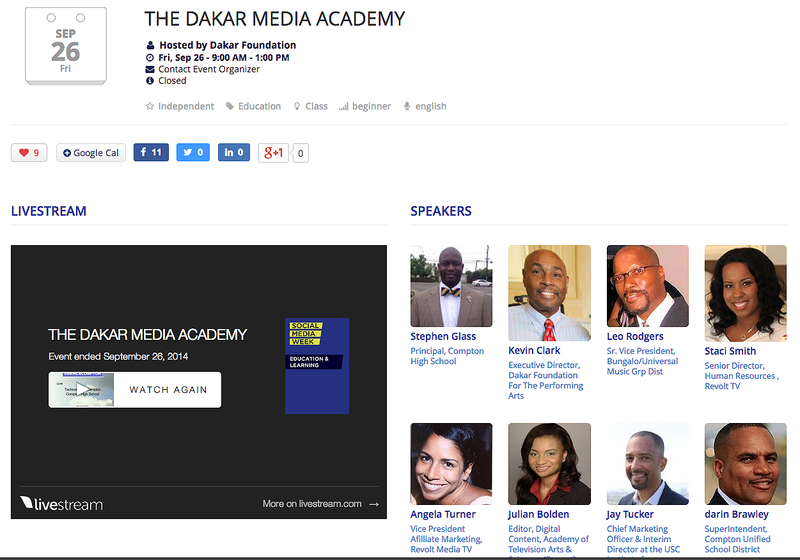 Social Media Week ended Friday, September 26th, but for the Dakar Foundation and the first charter members of the Dakar Media Academy life is just beginning. We hope you enjoy a few moments from milestone moments for all concerned with the Dakar/Compton Unified School District partnership Pilot. 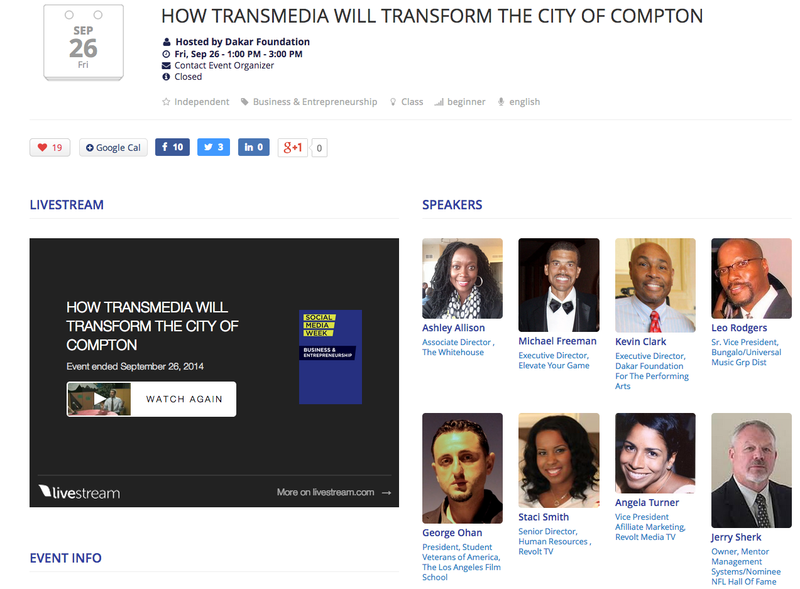 Click on the image below to see our abstract and check out our distinguished list of speakers featuring Compton Unified School Districts Superintendent, Darin Brawley as well as key partners and contributors to our first segment of Social Media Week. Our second segment featured a phone call from Ashley Allsion, Director of the White House, who gave us an update on the “My Brothers Keepers Program, and continued our dialogue with the White House’s Office Of Public Engagement on best practices of Mentorship. We’d like to thank our moderator, Actor, Richard Gant, our hosts Channel 26 station mangaer , Roger Alcocer, the producer of the show, Dakar board member Terrence Coles, and Director of Career Tech, Ryan Whetstone for their hours of dedication and instruction for the students in their execution of the 6 hours of live broadcast. Revolt Tv’s Angela Turner and Staci Smith amplified the conversation by giving our students tips and on how to get into the many different careers inside of digital media.